If you have been around church or been a pastor, you’ve heard these words. You may have even said them. One of the things I find myself struggling to communicate to people is the importance of not skipping over the first part of the sentence too quickly. We like to get to the forgiven part quickly. We don’t like to dwell on the sinner part. That, of course, makes perfect sense. Dwelling on our sinfulness is rather unpleasant. But here is the thing I often encounter in my ministry. Many Christians struggle because they have not really experienced the good news of the gospel. Oh, they have heard it. They have sung about it. They’ve sat through countless sermons about it, but there is something that has not yet grabbed hold of them. 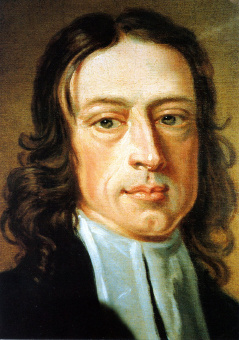 They are like the pre-Aldersgate John Wesley, who spent his life in admirable Christian service, but had himself not come to know the joy of the gospel. For him, the key moment was when he came to a deep realization that his sin had been forgiven. In the Bible, Jesus puts the contrast this way. Those who have been forgiven much rejoice much. Those who have been forgiven little, rejoice little. And our problem so often is that we want to convince ourselves and others that we have little to be forgiven for. We do not really dwell on the ways that we reject God. We do not think on our sins. We do not experience the cold hard truth that we are in dire need of forgiveness. Instead, we rush ahead and grab the warm comfortable mantle of forgiveness and so fail to really know what it means to come out of the cold and into the warmth of the Father’s love. We skip past our sinfulness like someone running on hot coals. We move so quickly, that we barely need the healing that awaits on the other side. And so, this is work I continue to seek the wisdom to do better. For I do know this to be true. The tepid relief of “I’m a sinner but forgiven” often provides little comfort when a person is lying in a hospital bed with their heart failing or cancer assailing their body. At the hour of their death, they need the full assurance that only comes from the full gospel. Lord, help me to learn better how to help the people in my care die a good death. Posted on September 13, 2018 by John MeunierPosted in Gospel, Grace, PastoringTagged forgiveness, Pastoral care, Sin. Wow! What a cogent and convicting piece of writing. If only I could transmit this awakening to my students. But they are so fond of their escape clauses and exculpatory explanations. I see that at every age and sense that search for the escape clause even in myself. That is part of my sin. Talked to my sister last night. We praised God for godly parents and their desire to be our shepherds, no matter how we came to be who we are, their goal was to find us in the “family circle” in the bye and bye. Yet, we know Gods plan, continues to stretch our imagination beyond the Earth, to the Sky, to constellations and Life beyond this world, that beckons me to grow, each day in better appreciation of “what all” both good and bad He has sent my way, to show me His compassion in leading me….some would say….to stray away…others would say…..to help me learn how to grow up….either way…I would not subtract the lessons learned….the night in jail…..the delight of others to derail my child like trust in GOD KNOWS BEST. lol Jesus is My Hero! He did it! He fought for good to overcome evil and He seem to fail, and again GOD will prove HE CAN RAISE THE DEAD, off this Earth, into a another world, we have yet to explore . . .with the compainions….on earth…we call His angels…who totally understood….each pain and suffering I had to endure….to cleanse me from unrighteousness coveting….of the things of this earth. God Bless You and GOD BLESS THIS WORLD and HELP US SEE…ETERNITY IS NOT A WORRY! He does no unjust thing…that is why the COURTS OF HEAVEN RING….He has taken us up and down a road….where I needed to go…TO TEACH ME.. in painful ways….how not to try and control someone else, but to GIVE THEM THE FREEDOM HE PURCHASED….at the cross….for you and me to have enough time to LOVE HIM and UNDERSTAND….how GODLY HIS PARENTING IS! LOVE U KEEP UP HE GOOD WORK…and know that GOD HAS A GOOD ESCAPE PLAN….and its HEAVENLY…wish to meet you there! THANK YOU!